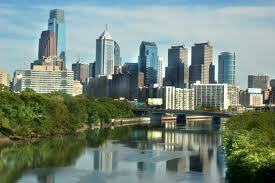 There are many Property Management Companies Philadelphia. So, with all of the options, how do you go about selecting the Property Management Companies which are the right fit for you, and your property? What qualities in a Property Management Company should you look for? How can you make sure the company you ultimately select will do a good job, and in the long run, make you more profitable? These are questions will all be address, and at the end, you’ll have a clear understanding of how to evaluate and select Property Management Companies. Peace of mind: when you hire an effective Property Management Companies, the end goal is to relieved of dealing with maintenance issues, tenant calls, and the hassles of property ownership. So the #1 thing Property Management Companies Philadelphia offer is peace of mind! Marketing & Leasing Services: If the property isn’t filled with tenants, then there’s really not much to manage, is there? So, one main service of Property Management Companies Philadelphia is too effectively fill those units! Rent collection and accurate financial reporting – Responsible Property Management Companies will keep immaculate books, so that an accurate accounting of rents received, expenses paid out, and owner remittances is achieved. Property Management Companies Philadelphia should have cash flow, trust balance, and tenant ledger reports at the tip of their fingers. Professionalism: This simple attribute is highly undervalued, but critical. 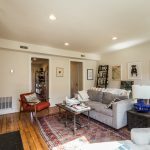 Property Management Companies Philadelphia must have a professional demeanor in all of their interactions with tenants, clients, their own employees, and third party vendors. Responsiveness: When a need or issue arises, your property management company needs to respond quickly. Essential to to responsiveness is ability to communicate through varied modes of communication. This means that Property Management Companies Philadelphia have the ability to communicate through email, livechat, phone, text message, skype, or whatever mode of the client prefers. Motivation: At JG Real Estate we acquire new clients on a daily basis which have previously worked with another Property Management Companies Philadelphia, and were dissatisfied in some way. Typically, it’s because some aspect of the company’s service simply was not up to par. 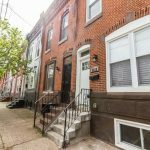 There are a number of reasons someone might be disatisified with Property Management Companies Philadelphia, but it mainly boils down to that company’s level of motivation. At JG Real Estate, we are highly motivated, meaning that we respond to emails at 10 PM, and strive to make both clients and tenants happy. The structure of the organization is integral to success and in turn the client’s success. Does your Property Management Companies Philadelphia have in house maintenance, leasing staff, accounting, or is it a one man shop? Smaller Property Management Companies Philadelphia are often over whelmed things get busy, which ultimately effects the property owner in a negative way. At JG Real Estate, we believe that we embody all of the above principles. We strive to do the best job we can possibly do, and grow our management portfolio while keeping our existing client and tenant base happy. Please visit us our homepage to learn more.